A living legend, an unparalleled superstar and a man truly ahead of his time - Amitabh Bachchan is not just an actor but a phenomenon ruling the hearts of billions across the globe. With a career spanning close to five decades, the 'Angry Young Man's' journey into tinsel town is no less than a blockbuster movie! Who would've thought that a man, who was once rejected for his deep baritone voice on radio, would one day become the 'Shahenshah' of Bollywood! At the grand finale of Starry Nights 2. Oh! on Zee Café, the actor opened up about the good-old days, the Bachchan house rules and anecdotes from his journey with Jaya Bachchan. Accompanied by his confidante and producer-director R. Balki, together they shared secrets from the sets of their films together and their unbreakable bond with the show's host Komal Nahta. Sharing a beautiful memory of how Jaya Bachchan and he got married, the actor revealed, "Jaya and I, were working in a film called Zanjeer and the whole team had decided that if the film succeeded, we would go on a holiday to London. I went and told my father who then enquired about who all I was going with. On hearing Jaya's name, he said that without marrying her I could not go to London with her. I said okay, let's get us married tomorrow and so we quickly got everything organised, got married the very next day and off we went!" When Komal Nahta asked R. Balki about his first impression of the mega-star he said, "He was sarcastic as hell. He didn't mean a thing he said, he just looked at you and pulled your leg!" Speaking about duo's star-wives, each gifted in their respective fields, Komal asked the two about the one thing that made the four a very strong and formidable team. Amitabh, being his sarcastic self, jokingly retorted, "I'll break that concept because his wife thinks that I'm the most terrible actor born on this side of the world and my wife thinks that the kind of films I'm doing are rubbish. His wife will come and say, 'Amit ji you were really bad at this film' and 'what is this kurta that you're wearing, it is rubbish.' So, if you think that this is a foursome that combines to make brilliant cinema, you're absolutely wrong." Sharing an interesting anecdote from their blockbuster movie together, R. Balki revealed, "I remember when I went for his birthday, I didn't have a gift. I just thought to myself about what I could give him as a gift. I thought of an idea and I whispered into his ear. All I said was that this is the idea, it's going to be based on your voice and it's going to be on somebody's face." Hearing this story, one could easily guess as Komal Nahta prompted - 'Shamitabh'. A show revealing the inside scoop on your favourite Bollywood stars, Starry Nights 2. Oh! 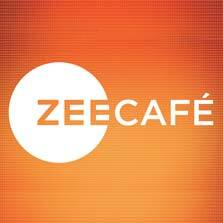 on Zee Café truly culminated on a legendary note!